1; A 2-year-old South Florida girl who has cancer needs a very rare blood, said OneBlood Monday. Blood Bank said it has organized a worldwide search for donors that could be a possible match for Zainab. 19659005] now. Follow us on Facebook Live. OneBlood leads a worldwide search to find extremely rare #blooddonors to help a two-year-old florida fighting #cancer . 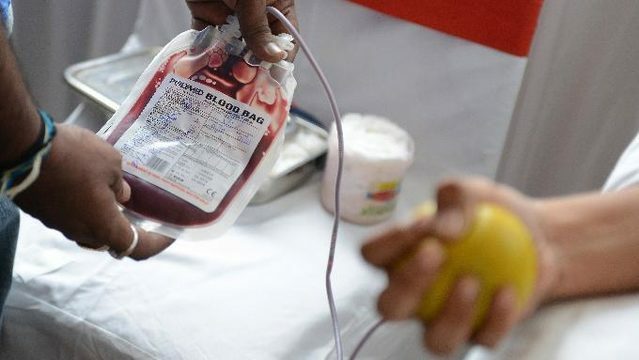 Potential donors must be exclusively of Pakistani, Indian or Iranian descent, which means that the donor’s birth parents are both 100 percent Pakistani, Indian or Iranian, and they must have Type O or Type A blood. Officials said that all donations must be coordinated with the bloodstream in advance to ensure further compatibility testing is performed. Please share and help us find rare blood donors for Zainab. OneBlood leads a worldwide search to find extremely rare blood donors to help Zainab, a two-year-old Florida girl fighting cancer. Watch the video to learn more. Visit OneBlood.org/Zainab. © 2018 Cox Media Group.